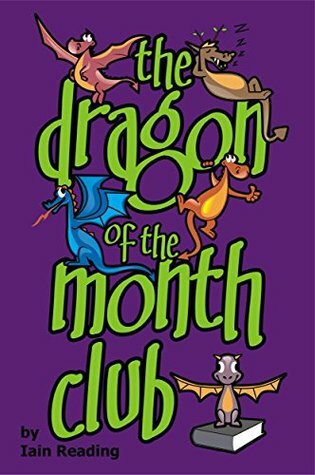 Synopsis: The Dragon Of The Month Club is the exciting first installment in a new book series that tells the story of Ayana Fall and Tyler Travers, two best friends who stumble across an extraordinarily magical book and soon find themselves enrolled as members of a very special and exclusive club - The Dragon of the Month Club. On the thirteenth of every month a new dragon conjuring spell is revealed and the two friends attempt to summon the latest Dragon of the Month. The varieties are almost endless: Air Dragons, Paper Dragons, Fog Dragons, Waterfall Dragons, Rock Dragons, Tree Dragons - not to mention special bonus dragons for all the major holidays, including a particularly prickly Holly Dragon for Christmas. 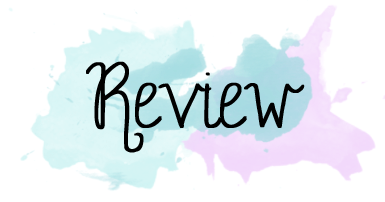 But one day when a conjuring spell somehow goes wrong Ayana and Tyler find themselves unexpectedly drawn into a fantastical world of adventure based on the various books scattered all across Tyler's messy bedroom. Travelling from one book-inspired world to the next with nothing to rely on but their wits and a cast of strange and exotic dragons at their disposal they must try to somehow find their way home again. Drawing inspiration from some of literature's most memorable stories - from 19th century German folktales to the streets of Sherlock Holmes's London - the adventures of Ayana and Tyler bring these classic stories to life in delightfully strange and unexpected ways. Filled with fascinating detail and non-stop action these books will spark the imaginations of readers of all ages to inspire a life-long love of reading and seeking out books that are just a little bit off the beaten track. 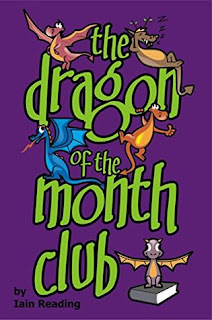 The Dragon Of The Month Club, by Iain Reading, was published in February 2015 and is available for sale on Amazon and Barnes & Noble. Genres: Young Adult / Fantasy / Adventure. Following their most unlikely of beginnings, the friendship of Ayana and Tyler grew quickly, and before they knew it, they were the best of friends, meeting up with each other almost every day. Sometimes they met up with Ayana’s mother after school at the downtown Dairy Queen for ice cream. Other times they climbed the edges of the coulee behind Ayana’s school and went to Tyler’s house where they did their homework together in his room. But most of the time, they just agreed to meet up at the place where they’d both accidentally bumped into each other on that very first day—amongst the dusty old bookshelves of the old library at the row between the history of the anatomy of earthworms and the illustrated guide to the indigenous mosses of Iceland. It was on just such a day that Ayana and Tyler first discovered THE BOOK—a name that would be forever capitalised in their minds whenever either of them dared to utter the phrase aloud. It was a magical book. That much was clear almost from the outset, so perhaps the manner in which these two unlikely friends happened to come across it was magical as well. It all started on a typical Friday afternoon. Ayana and Tyler had agreed to meet at the library right after school. Tyler had a dentist appointment and would either be a few minutes late or a few minutes early, depending on how long that took. Not surprisingly Tyler was a few minutes late. This could have been expected since Tyler took dentist appointments very seriously. For weeks ahead of time he would be sure to brush his teeth five times every single day—once when waking up, once after breakfast, once after lunch, once after dinner, and once again before bed—which was two more times a day than he usually did. (He normally deemed the wake-up and after dinner steps unnecessary.) All of this was in addition to flossing, rinsing, and otherwise generally trying to keep his teeth in the best possible shape for the check-up. To Tyler, going to the dentist was like studying for a test in school. Failure was not an option. So it shouldn’t be much of a surprise that once he was actually in the dental chair, he expected the dentist to be every bit as thorough as he was, a process that required a bit more time than it normally would with less fastidious patients. And so, when he finally arrived, he hurried down the stairs and quickly navigated through the maze of shelves at the back of the library and found Ayana sitting there, crouched on the floor, sobbing her eyes out. Tyler sighed heavily. He could already guess what must have happened: Heather van der Sloot... again. He took off his backpack and set it on the floor. Folding his legs under him, he lowered himself down until he was sitting next to Ayana, not too close, of course, but as close as he dared to. “What happened this time?” Tyler asked. Ayana sobbed and buried her face even deeper in her hands. After a moment her left arm shot out, pointing an accusing finger toward a stack of soiled and dishevelled papers lying in a heap on an empty space on the shelf opposite them. “That,” Ayana cried, her voice thin and cracking. Tyler stared at the papers, and it took him a moment to realise what they were. Tyler had to take a breath and swallow. Ayana’s poems were a work of art, neatly written in careful flowing script, one to a page. Ayana carried them with her sometimes in a stiff green cardboard folder with trees on it that had little strings that you used to tie it shut. Ayana stuttered and couldn’t speak for a second. Tyler nodded and crawled over on one knee to pick up the chaotic stack of papers. He sorted through them, one by one, trying to put them back into some kind of order. They were smeared and scratched and crumpled. One even had a dirty footprint stamped squarely on it. Normally Ayana wouldn’t even let Tyler glance at one of her poems, so he was surprised that she wasn’t bothered by his looking through all of them now. She clearly wasn’t thinking straight, so he tried to make as neat a stack out of them as possible and set it down on the carpet in the middle of the row of shelves. Ayana shrugged her shoulders hopelessly. Tyler felt a sudden squeeze around his heart. He had no idea what he was supposed to do to make Ayana feel better. But as his mind was racing, trying to think of something, the universe intervened. On this second last syllable, Ayana kicked at the opposite shelves with the heel of her shoe, making the wooden frame shudder and some of the books rattle around. One particular book—a small, thin one high up on the very top shelf—tipped forward as if in slow motion until it was hanging precariously at an impossible angle, almost as if it was levitating, before tumbling end over end to the floor. Tyler tried to catch it but he was too slow, and instead it crashed into the stack of papers, scattering them slightly, before it fell flat on its back, right side up right in front of them. ...read the front cover of THE BOOK in bright yellow letters against a wavy blue background. Tyler frowned and Ayana stopped crying for a moment. They both stared at THE BOOK with wide-open eyes, neither of them quite able to believe what they were seeing. “How to conjure a dragon?” Ayana asked, kneeling forward to grab THE BOOK. Tyler crawled next to her as she opened the front cover. “A water dragon?” Tyler read over Ayana’s warm shoulder. Underneath the chapter title was a brief list of the various characteristics of the water dragon. this spell is a relatively simple one, but be forewarned that the water dragon is a damp and clumsy creature, prone to making messes and causing trouble. It is recommended to have plenty of towels at hand when undertaking this conjuring. Underneath this brief introduction was a list of materials needed to actually conjure the dragon. And last but not least came the instructions, six simple steps to conjuring your very own dragon. Tyler could hardly believe what he was reading. The steps were so simple. Just a series of strangely specific hand gestures performed by two people simultaneously. The instructions even had little helpful sketches to help you understand what to do. It reminded Tyler of IKEA assembly instructions when his parents bought new furniture and let him put it together for them. But that was furniture made of wood and fabric and those little IKEA screws that needed a special tool to screw them in. This was supposed to be a dragon, whatever that meant. How could such simplistic instructions possibly result in assembling anything, much less an actual dragon? “We have to try this!” Ayana said excitedly. There is an ongoing contest for readers to win a one-of-a-kind hardcover version of The Dragon of the Month Club with their artwork as the cover. “Draw a picture! 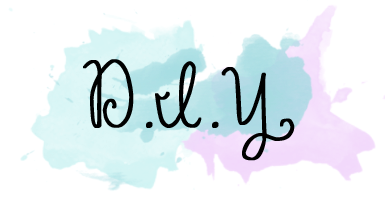 Write a story! Take a photograph! Bake some cookies! Mold a dragon out of clay! Knit one out of yarn! Make one out of LEGO! Whatever you want! 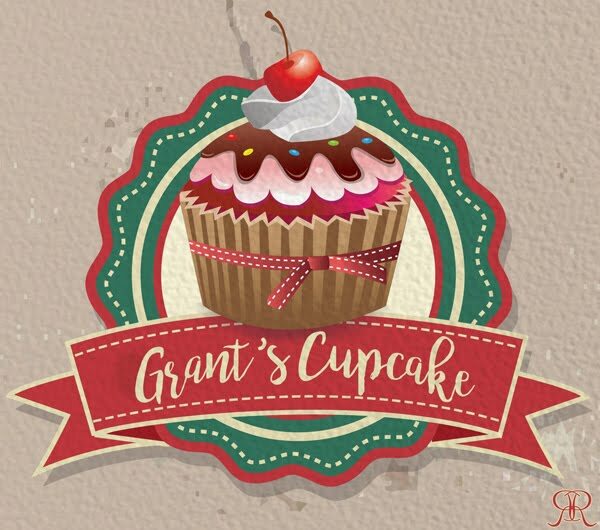 Just let your imagination run wild because anything goes – the more creative the better! Send your dragon in and then on the 13th day of every month one entry will be chosen at random and featured on the official Dragon Of The Month Club website. Each month’s lucky winner will also receive a free one-of-a-kind personalized hard-cover edition of The Dragon Of The Month Club book featuring their winning artwork (or other creative content) on the cover or inside the book itself,” says Iain. Iain writes young adult novels. 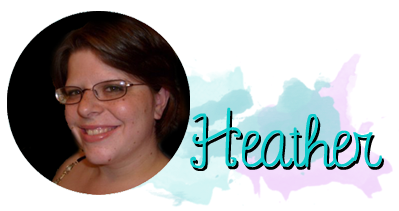 He is the author of the Kitty Hawk Flying Detective Agency Series, The Wizards of Waterfire Series, and the dragon of the month club. To learn more, go to http://www.amazon.com/Iain-Reading/e/B00B0NGI6Q/ Connect with Iain on Facebook, Twitter, and Goodreads.